Car Evaporator Car is one component of car air conditioning circulation which has a vital function to convert freon fluid to cool gas. In this device freon fluid cooling process occurs. If the device is rarely cleaned and dirt accumulates, it is not likely to cause leakage. Leakage occurs due to dirt that accumulate causing corrosion and become porous. 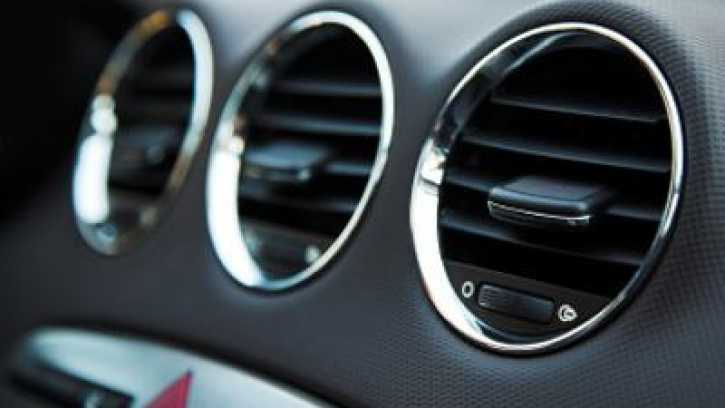 Therefore, it is important to perform maintenance and cleaning of your Car AC Evaporator components. Get used to Caring for and Cleaning Car Air Evaporator Components regularly. Do not wait until the air conditioner does not cool or the air is not fresh. Because if this has happened, then generally filter replacement, evaporator cleaning, to checking even the addition of refrigerant is also needed to restore the cold temperature. The process takes a long time and costs a lot. Turn off the car, and find the location of the filter and the AC air intake path by reading the vehicle’s book manual. Generally behind the glove box, so note the steps to open it so as not to damage other components. Lift the filter, and check. If it is very dirty, change immediately. Beat the spray cans several times before the process begins. Insert the sprayer hose toward the blower so that the foam can be perfectly directed to the blower. After the spray is ready to be sprayed, turn on the engine and AC and open all AC vents and windows. Also turn on the blower on the rear passenger seat if available. Set the AC temperature in the coldest position and blower at the fastest. After making sure the sprayer hose is right facing the blower, spray the foam out. Do not worry about the droplets that appear on the AC ventilator, wipe with a rag after the spraying process is complete. Even if no droplets, this does not mean anything. If spraying is done properly, then the air instantly feels fresher. If the AC is working normally and there is no damage, generally the temperature will feel cooler. After the contents of the cans run out, keep the car on with the same AC condition for 10-15 minutes and the dirt from the evaporator drips from the AC pipe under the car. Thanks for reading a few tutorials and tips on how to clean and eliminate. Hopefully the article that we serve is useful for your daily life.